Healthy news and information from OC Lifetime Dental. Dental professionals have used many methods to create a comfortable experience for patients. Before nitrous oxide was discovered at the end of the 18th century, wine and ether were used. Nitrous oxide is mixed with oxygen and inhaled through a lightweight mask. By breathing normally you’ll soon feel the effects. You may feel light-headed or a tingling in your arms and legs. Ultimately, you’ll feel calm and comfortable. Since it doesn’t put you to sleep, you’ll be able to hear and respond to any requests or directions. The effects of nitrous oxide wear off soon after the mask is removed. 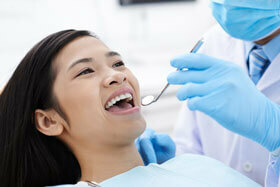 If you tend to get nervous just thinking about a routine dental visit, be sure to ask about nitrous oxide. 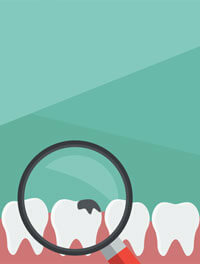 Once a tooth is drilled and filled, its strength is compromised. It’ll never be as strong as it was. It’s why we stress prevention. And why it makes sense to have your child’s teeth protected with a sealant. When your child’s permanent teeth emerge, they’re not as resistant to decay as yours. The most likely location for a cavity is on the chewing surfaces of the back teeth. These teeth are filled with tiny grooves called “pits and fissures.” They’re helpful for chewing food, but can trap bacteria and food particles. A sealant is a thin, plastic coating applied to the chewing surfaces of the premolars and molars. It fills in the pits and fissures. This forms a protective shield over each treated tooth. Sealants work. 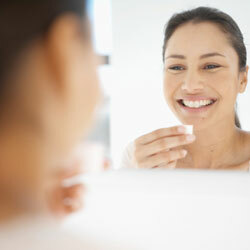 It’s a preventative treatment that can reduce decay by more than 70 percent and last for up to 10 years. Find out more! When a cavity needs filling, there are two basic choices. There is a mixture of metals called an amalgam. Or, a resin composite, consisting of ceramic or glass, blended in a plastic compound. Each has its pros and cons. Because resin more closely matches the color of natural teeth, they tend to be less noticeable. This has made them popular. Plus, due to the flexibility of composites, they generally require less drilling. Once the decay has been removed and the surface prepared, the composite will be laid down in layers. A special light is used to harden each layer. After final shaping to insure a proper bite, the composite filling is polished. The downside? Composite filings don’t tend to last as long as amalgam fillings. Additionally there have been some concerns about composites releasing toxic elements as they age. Until there is greater clarity, we’re keeping an eye on the scientific literature.